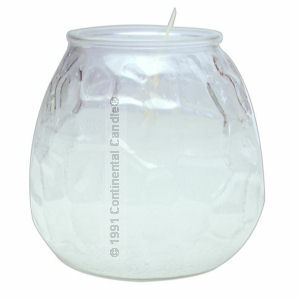 Continental's clear "Visa" container candle with clear wax provides a clean bright light to change the mood in any room. Our Visa brand candles offer the quality assurance that every single container will burn clean and clear. Any time is a good time for a Continental Candle (R). Continental Candles are Light Years Ahead (TM).